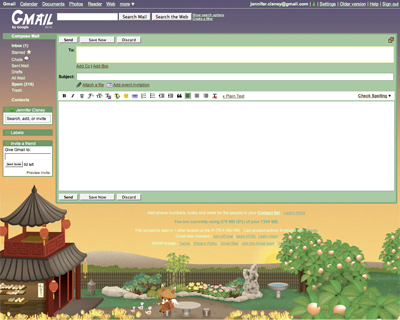 Did you know you can add a theme to your gmail account now? 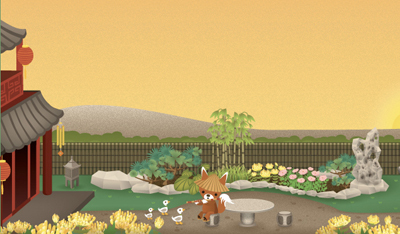 I chose Tea House to match my iGoogle page. The scene changes as time goes by. 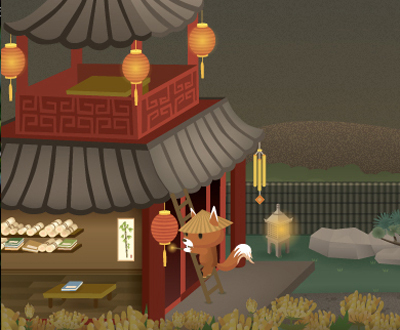 I like seeing what the little fox is up to throughtout the day. Mmmm noodles for supper. I think I would like to move in with him. I even check my gmail at night, just to see if he's still up, and usually he is, writing calligraphy. 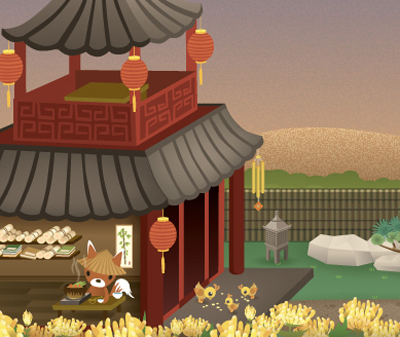 I am in love with the tea house theme! I want so badly to be able to see ALL of what he does during the day. I too have only made it as far as him writing calligraphy, that's around 11pm CST. My theme too. I wish he did more stuff though. I thought it was funny yesterday. It was still sunny in the tea house theme at 4pm but outisde in the real world it was already dark. apparently on the homepage version (not sure if its in gmail) there are some "hidden" pictures. Like at 3:14 (the first 3 #'s of Pi) I've yet to catch any of them though.